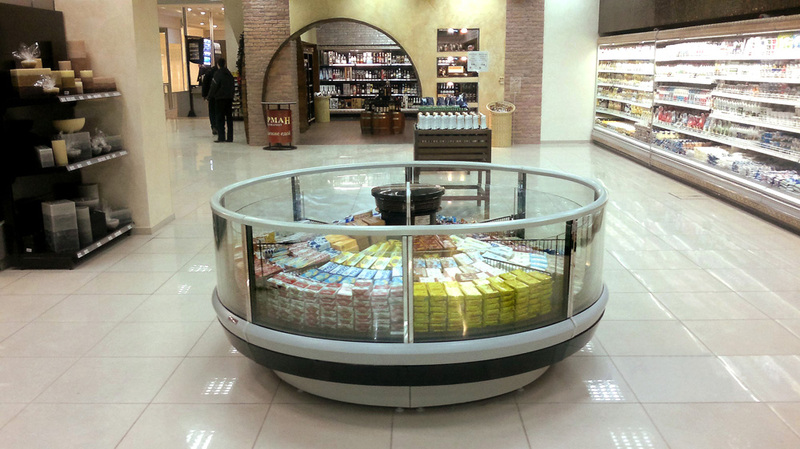 Installation features of STL series display cases make it possible to create trading site in the form of universal kiosk, obtaining any kind of shape with integrated pickup window and lockable door. Exposure surface of such construction will be significant and several times larger then the space, occupied by the kiosk itself. That is why the kiosk is in good demand for the installation in the shopping malls that offer trading areas for rent.